Rose Zarelli, self-proclaimed word geek and angry girl, has some CONFESSIONS to make… #1: I’m livid all the time. Why? My dad died. My mom barely talks. My brother abandoned us. I think I’m allowed to be irate, don’t you? #2: I make people furious regularly. Want an example? I kissed Jamie Forta, a badass guy who “might” be dating a cheerleader. She is now enraged and out for blood. Mine. Here are some other vocab words that describe my life: Inadequate. Insufferable. Intolerable. Thank you to NetGalley and HarlequinTeen for allowing me to read this ARC! You guys can grab a copy August 28th, 2012! When this book popped up on NetGalley, I had my reservations. I don’t usually read contemporary because I’m very cynical about them. Still, I read that synopsis right there and just HAD to request it, because the narrator felt like she had SO MUCH INTENSITY coming off of her words. So imagine my surprise when Rose ended up being nothing like I thought she would be. In the beginning, Rose is HARDLY very angry. She’s very quiet and submissive, content to let her friends and others walk all over her. That annoyed me in itself, because I just hate when characters bow their heads and let everybody use them as punching bags. She comes off more whiny and know-it-all-ish than anything. As the book went on, Rose’s character got better. However, for the most part the huge supporting cast was a whole bunch of clichés. I wasn’t even sure why some of those characters, like Robert, even existed. You had your cheerleaders and you had your cliché high school jocks and jerks. Not much uniqueness in that scenario. I think my biggest problem with this book was that I was never sure what the plot of the book was. Usually there is some sort of goal laid out or something, but the book just keeps rolling on and on with no real endgame in mind. Sure, that meant I had no idea what was going to happen, but I also never felt like I knew what the point was of anything going on. So why all the way up with 3 stars, then? Because of Rose. No, she was never what I thought she was going to be, but she was…something else. Honestly, Rose could have been me at fourteen. The things she said, the way she said them–I literally remembered saying and thinking those things at that age. (Hey, it was only four years ago, I’m not that old yet!) I really, deeply connected with her, and that made the whole book for me. Still, I also take issue with that ending. Just when things are really revving up to be good and Rose is coming into her own like whoa (and things are getting interesting with Jamie, for real! ), Rozett goes and ENDS IT ON THAT CLIFFHANGER. I died a little bit inside. There are cliffhangers, and then there are cliffhangers. I really wanted to see Regina–the “cheer-witch” who was making Rose’s life horrible–get what was coming to her. Next book, maybe? 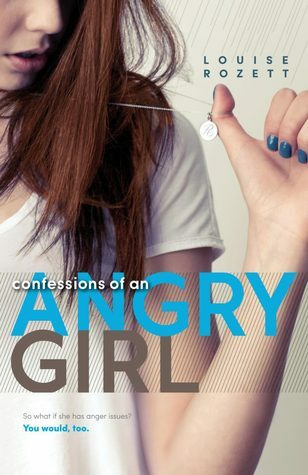 Overall, I liked Confessions of an Angry Girl. I didn’t desperately love it, but it was a fun way to pass a few hours, remembering my own freshman years. I know contemporaries are touted for their romance elements, but I’d call this one more of a coming of age than anything else. Personally, that was where the writing really shone for me. The next book in this series, Confessions of an Almost Girlfriend, is scheduled to be released in 2013. 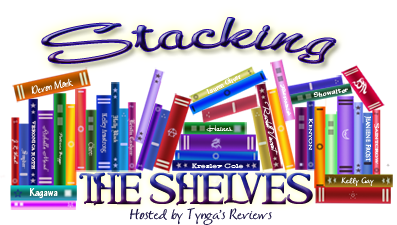 Stacking the Shelves is hosted by Tynga’s Reviews! Hi everybody! Welcome to my first ever Stacking the Shelves! For those of you who don’t know what this is, its blogging or vlogging about the different books we’ve received in the last week. This gives you readers a hint at what’s coming up on the blog, and also gives us bloggers a chance to squeal about all the awesome goodness we’ve got coming in. So without further ado, here we go!